Hope Story - Why don't you learn computer? 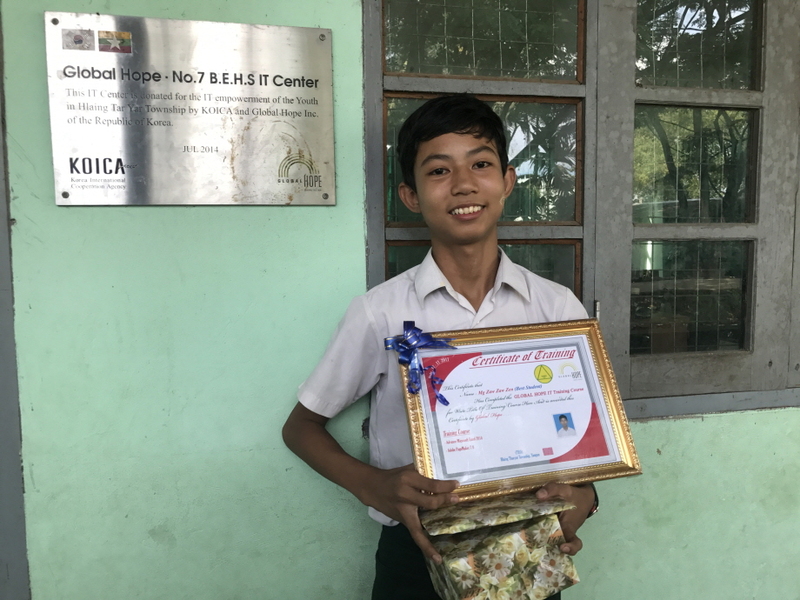 The completion ceremony of the course level 2 in the ICT classroom was held at in Myanmar at the period of time when many other classes were finished as well. The ICT lessons that started with much expectation are now running towards the course level 3. In the course level 2, they learned about Excel advanced course and PageMaker that had learned briefly at the course level 1. The students who have participated in the course level 1 also joined the course level 2 and are supposed to attend course Level 3 that will start soon. They who hesitated whether it was too difficult to start because they did not know anything at first become now a senior who have learned a little earlier, and also kind teachers to the juniors who enter later. 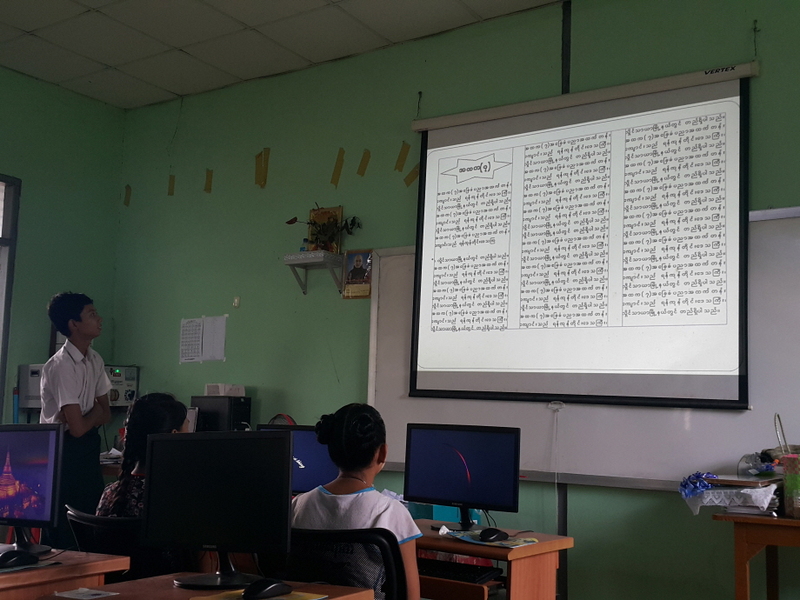 Although all the students have not been able to come together to the end because of the other lectures, the students who completed this curriculum actively participated in the classes with their interest in ICT classes by informing their friends about how to use the computer. I feel their cooperation and enthusiasm for learning. I hope the students will be motivated again through the course Level 2 completion ceremony and they will be able to work harder in the next course.